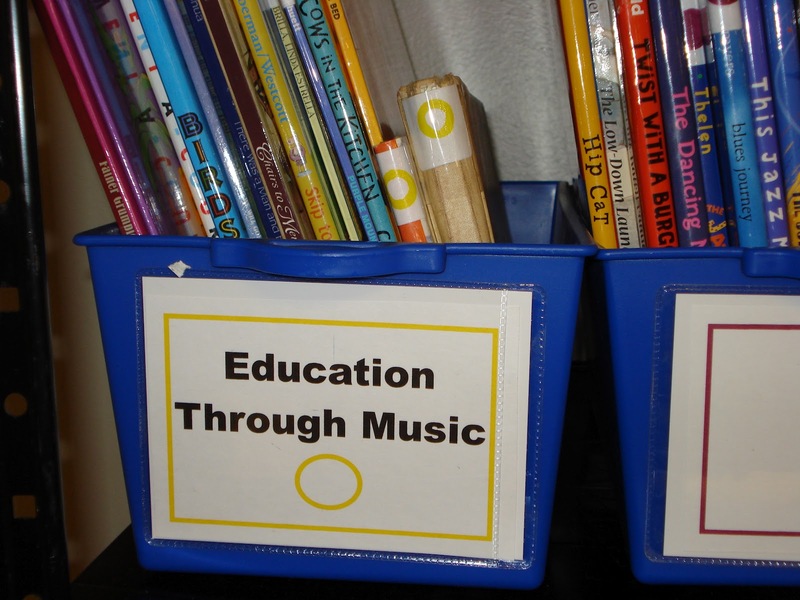 I am a music teacher who loves books. 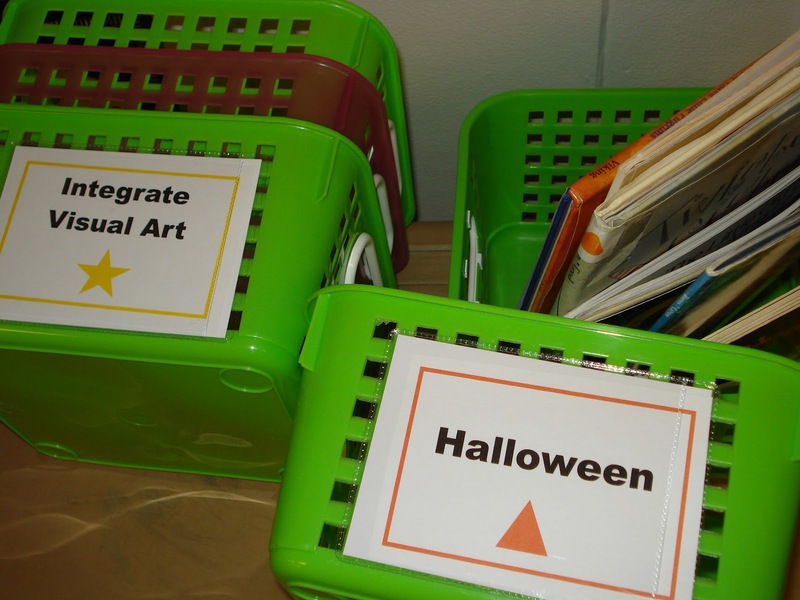 I love finding different ways that I can incorporate children’s books into my lessons. As a result, not only do I have an extensive collection of books, but my collection of books is always growing. I’ve had my books semi organized for years, but in order to maintain this loose organization, I’d usually pull all of my books out and resort them at least twice a year…. otherwise I couldn’t ever find anything. I have also tried to organize my books by type and have actually managed to put stickers on them before, but because the spines of the books are so narrow, my stickers just fell off. When a job isn’t done so that the work will last for at least a little while then it really isn’t done correctly and causes more work for me…..This last fall I began planning and collecting materials to do a GOOD job! Finally this spring, I did a HUGE reorganization. 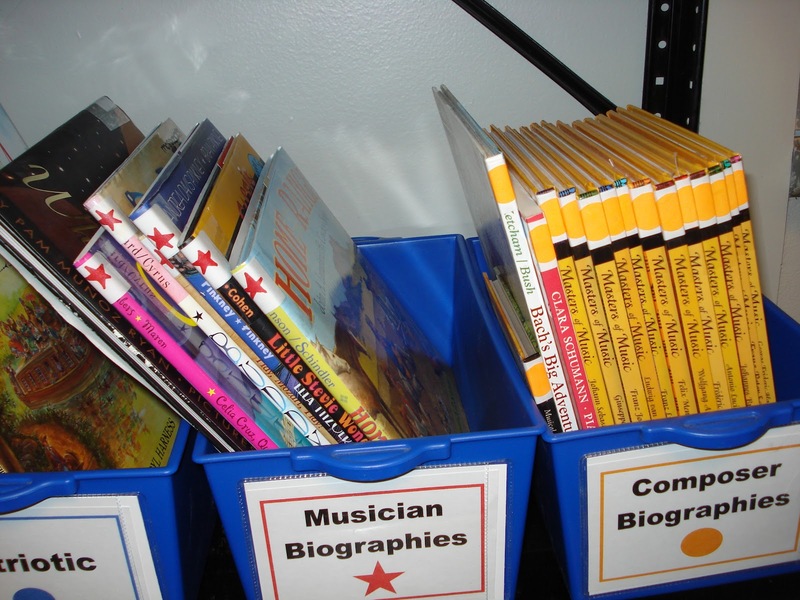 Reorganizing your library is not for the faint of heart because it takes some real time and effort, but I think I’ve finally got things settled into a system that I can use and maintain while giving my students free access to my library. 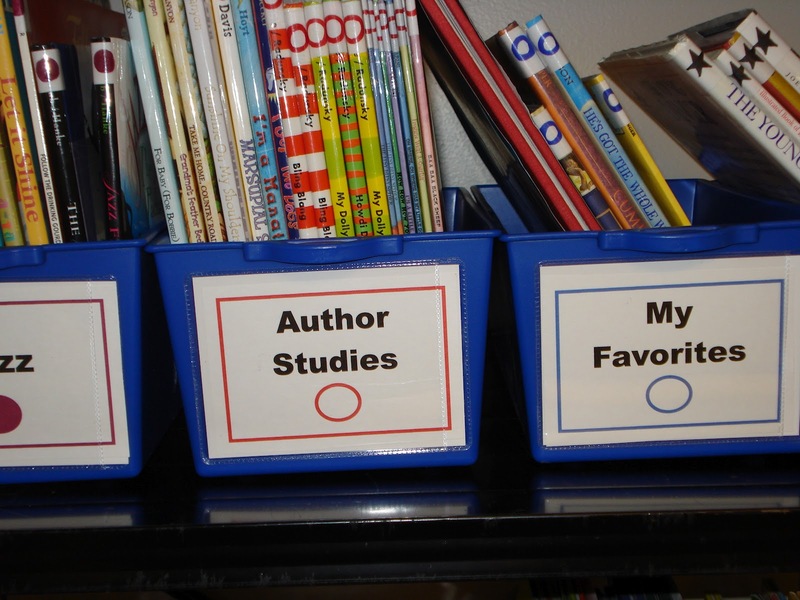 When things are all said and done, I still have some work to do on my class library because I need some more of those wonderful Lakeshore containers and labels, but with a little time and help from my mom who recently retired from working at a library, we were able to get the lionshare of the the organizing done. Assorted Sharpie Markers – I already had a wide variety of these on hand. 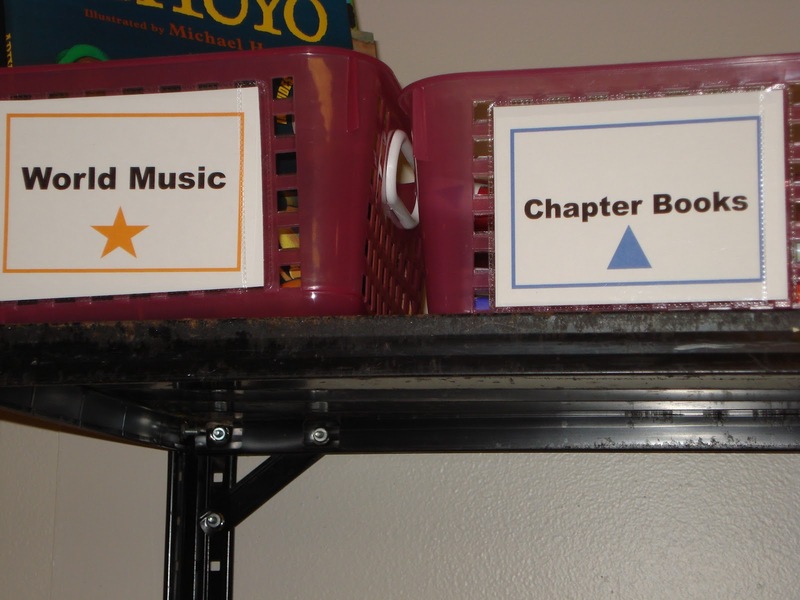 One issue with creating a library for the music classroom is that your organizational needs are often different than a regular classroom. I looked everywhere for a set of labels that I liked and decided to develop my own. 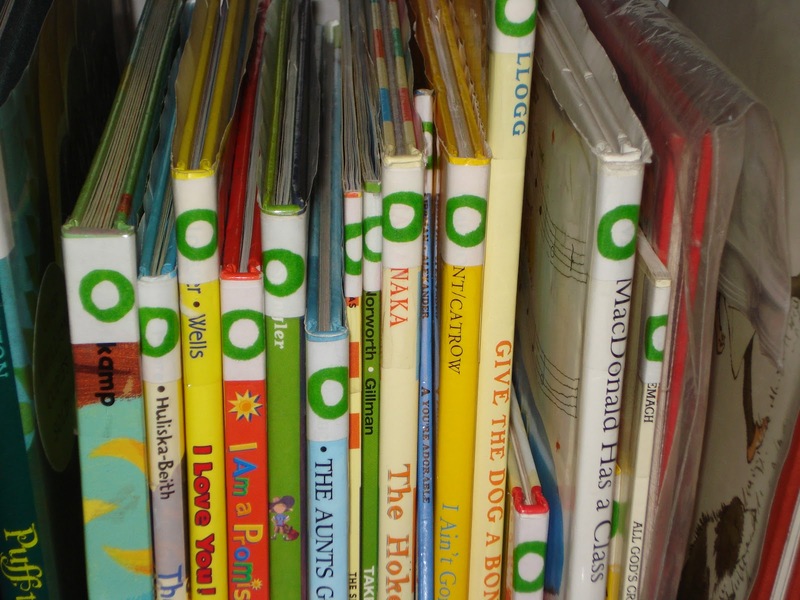 My list is not exhaustive and it may be that you have more success organizing your books in a more traditional way. These are the labels that work for me. I tried to make them as simple as possible so they would be easy to replace without causing me to have to redo everything. 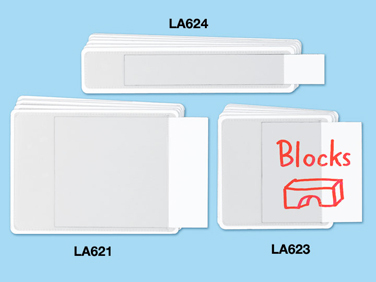 I printed my bin labels on cardstock and slipped them into the adhesive bin label holders from Lakeshore. This way, I can change them out as needed. Click on the picture to download my labels for FREE! Author Studies – I have several sets of books all written by the same author. John Lithgow, John Denver, Woody Guthrie, etc…. Composer Biographies – Beethoven, Brahms…..etc…. Favorites – books that I love! 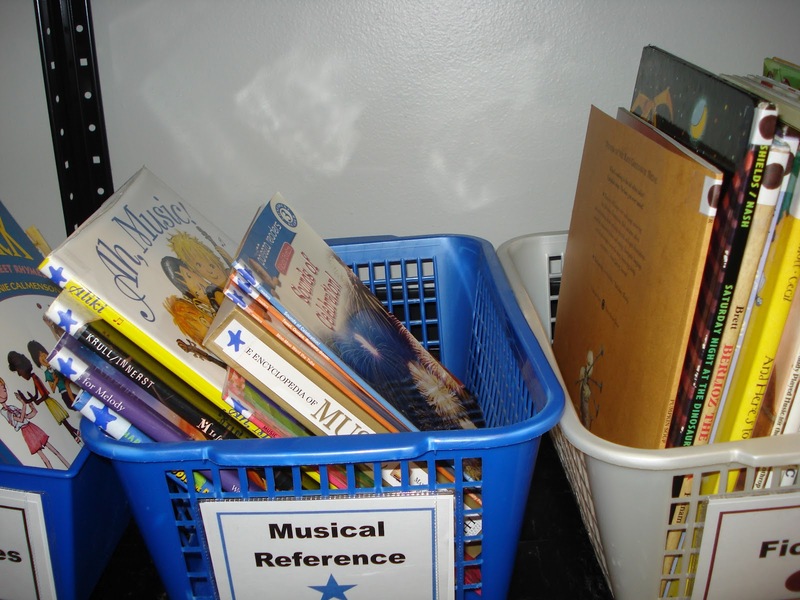 Musical Works – books that illustrate major musical works…. 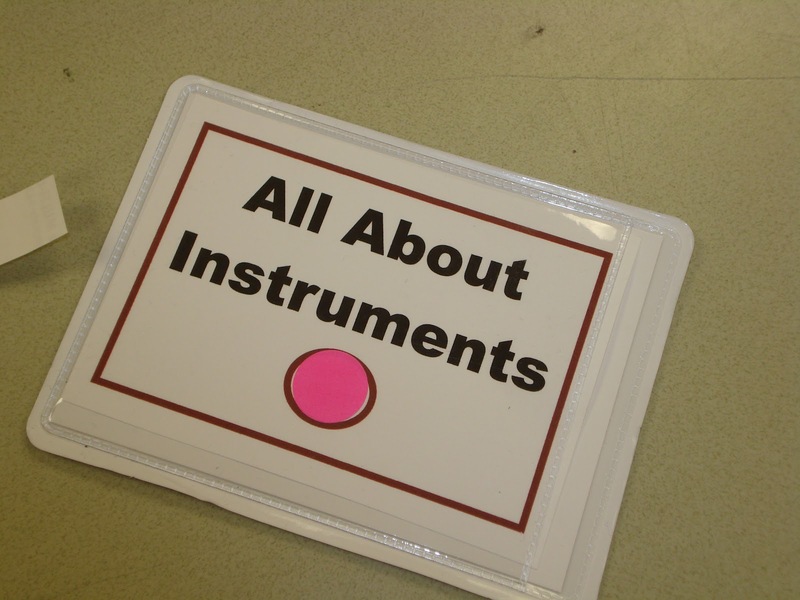 Carnival of the Animals, Peter & the Wolf, Pictures at an Exhibition…etc. Here are the pictures of how I created my NEW library! 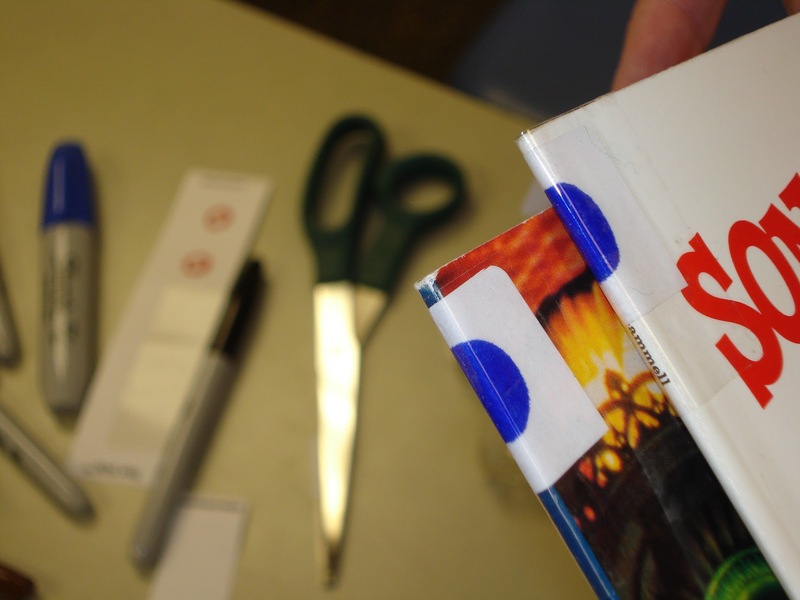 We cut white labels to make book spine labels. the label on the basket. Each label is covered with mailing tape. 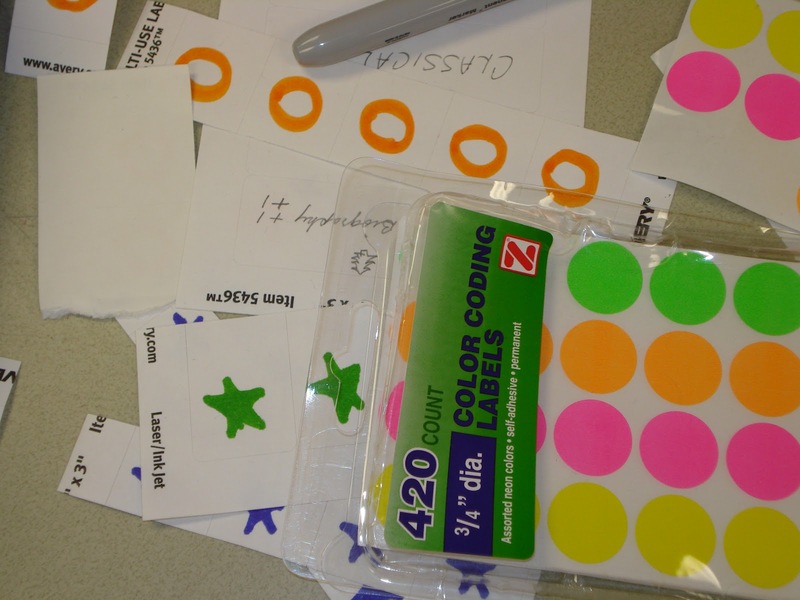 We used stickers when we had them, or drew the symbols when we didn’t. 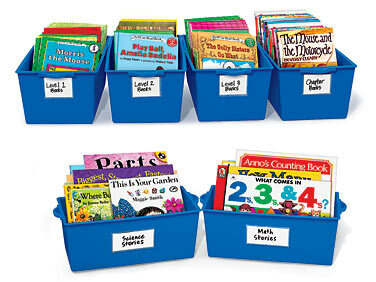 I look forward to purchasing more bins because the Lakeshore book bins fit best. Maybe someday I’ll even get to replace my very sad looking shelf! 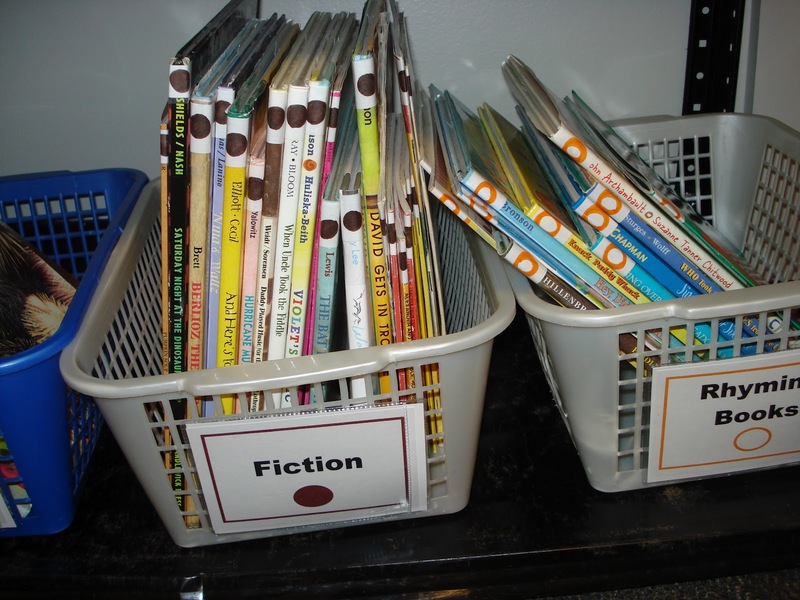 I'd love to know what books you have in your library and how you use this in class. Thanks for asking Pam! My book lists are a great place to start because I started creating my recommendation lists based on my favorites. Occasionally there will be a book on my list that I don't yet own, but that is rare. Each book list is from a blog entry… but I noticed (just now) that I need to add links back to those posts because those posts are where I give a general outline of how I typically use the books. 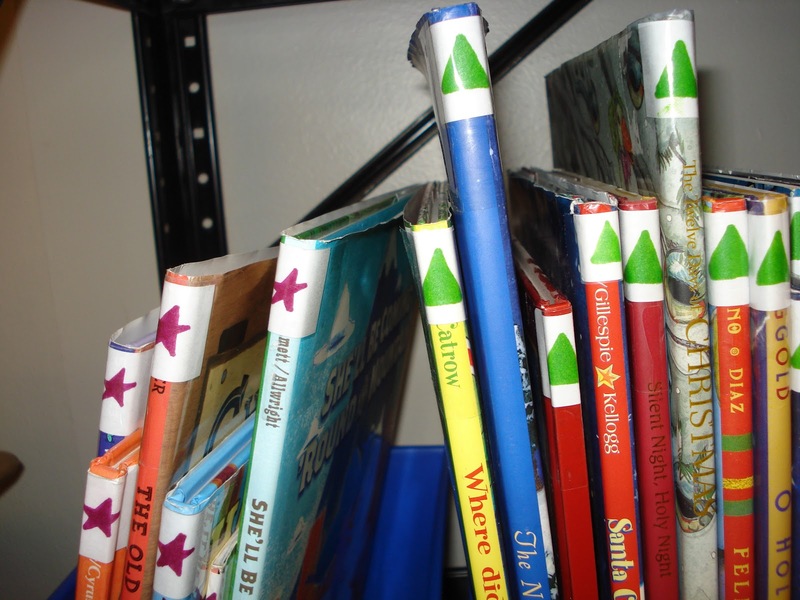 I intend to keep adding books from my collection as well as ways that I use the books with children. For now I'll say that sometimes the books are the frosting on a lesson and sometimes the books are the cake. 🙂 I hope you enjoy! Pam – one more thing! 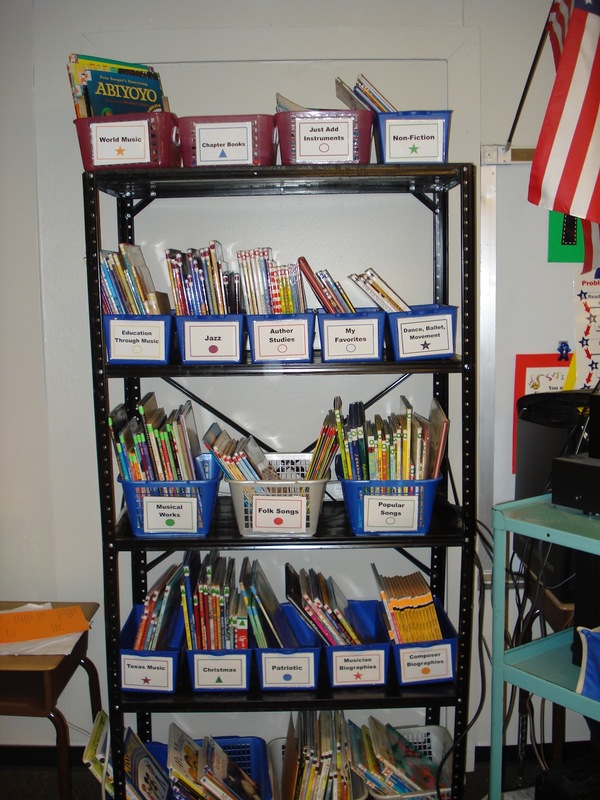 As far as how I anticipate using my newly organized library with students this year remains to be determined. 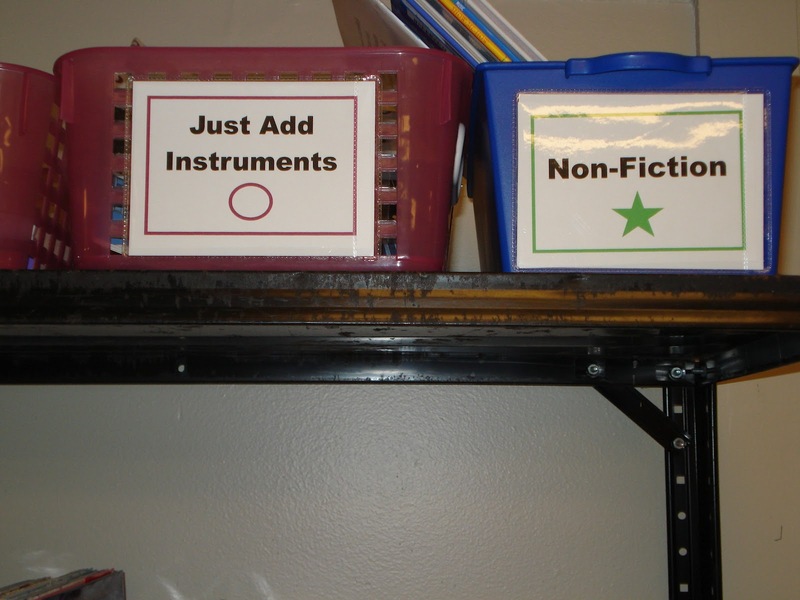 I have not ever had a library organized well enough to allow for successful student access until now. I look forward to experimenting with procedures this year and reporting on how things go.